KOOSKIA  A court hearing is pending for a Kooskia man arrested last week on felony drug charges. 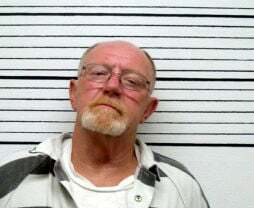 Jerry W. Wilson, 60, was taken into custody Sept. 30 on charges of possession of methamphetamaine and possession of a controlled substance with intent to deliver, according to an Idaho County Sheriff’s Office (ICSO) release. On Sept. 30, 2017, ICSO personnel executed a search warrant on Broadway Street in Kooskia where it was alleged methamphetamine, packaging materials and paraphernalia was located. Wilson is being held in the Idaho County Jail on $10,000 bond.